We hear it all the time — before Redbooth, how were our users keeping track of projects? Spreadsheets, spreadsheets, and more spreadsheets. At first, tracking projects in spreadsheets seems like a great idea: crisp, clear, and organized, they have a lot of appeal on day one. But as time goes on, they rapidly become less useful. In some cases, team members forget to keep updating them, so they quickly become obsolete. In other cases, only one person — like a project manager or team lead — has access to the spreadsheet, so bottlenecks are inevitable. Even the most thoughtfully color-coded spreadsheet usually ends up being a relic of a project management plan. It’s usually a snapshot of the original vision of the project, not a living document that evolves along with the project. So we made it easy. Really easy. Before you import your spreadsheets, locate the ones you’re working with and start to think about how they map into separate projects. In Redbooth, you get unlimited workspaces. You can set up a separate workspace for each project. If you work on multiple projects for clients, you can also set up a workspace for each client. It’s helpful to identify the first workspace you’d like to create and start with that one (you can always add more later). Once you’ve selected the spreadsheets you’d like to upload into workspaces, you’re ready for the next step: a bit of formatting to ensure that everything goes smoothly. So that we can set up your workspace fast and have it ready to go for you, it’s helpful to make sure your spreadsheet is set up in a Redbooth-friendly format. It’s usually easy to tweak before you upload. As you can see, there are separate categories for task list, task, description, assignee, and due date. 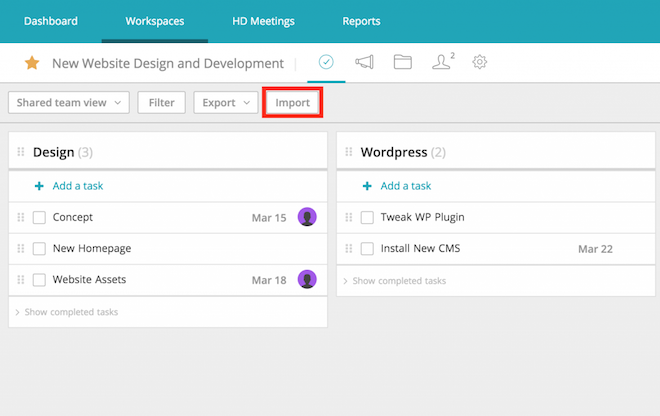 Task lists are an organizing framework within Redbooth workspaces. In a web design project, for instance, one task list might be composed of tasks relating to design, while another task list might be coding and technical to-dos. If you’d like to get some workspace inspiration, Redbooth offers a library of sample workspace templates. 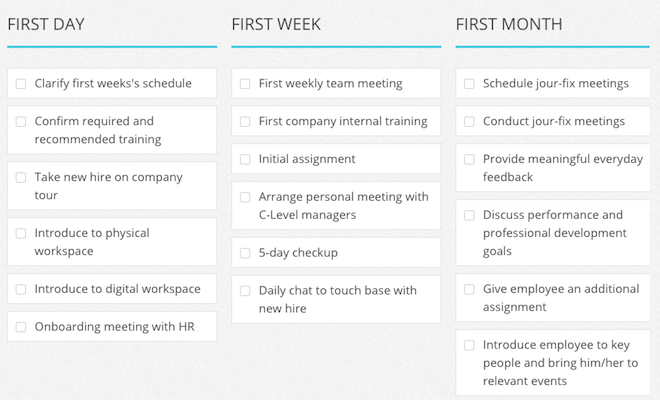 You can browse through them to see a range of different ways you can organize your task lists. 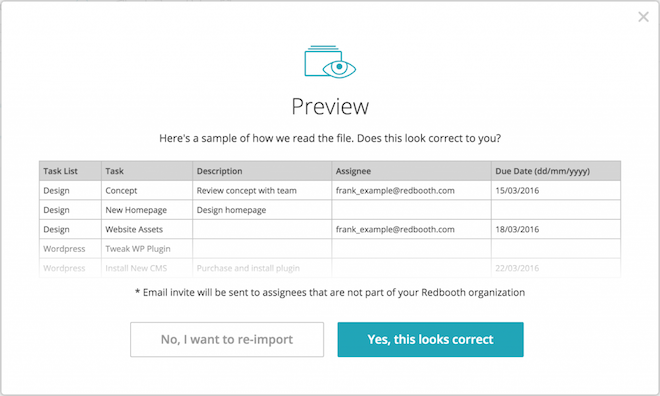 Once you’ve chosen your task list topics and your spreadsheet is ready to upload, it’s time to open up Redbooth (get started for free if you don’t have an account yet). You can get detailed step-by-step directions for the entire process in Redbooth’s Help Center. Once you’ve imported your spreadsheet, you and your team can make updates and changes to your workspace whenever you like. Reassign tasks to different team members, drag and drop tasks from list to list, and open up tasks to add comments and files. We’re excited for you to import your spreadsheets and get started!